We have in-house facility to manufacture a wide range of asbestos based and asbestos free roll linings made using rubberized and woven components. We use roll forming process,which require top quality rubber,fibers and chemicals.The friction coefficient ,wear and fade characteristics of our brake roll linings are one of the best in the world. We manufacture brake roll linings in four different qualities. 1. Rubberised Brake roll lining (Grey/White colour). 2. 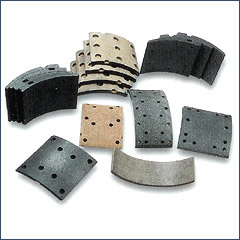 Asberstos free brake roll lining (Black /Beige colour). 3. Flexible wire back brake roll lining. 4. Flexible asbestos free wire back brake roll lining. 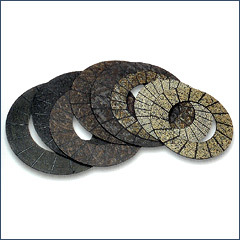 Our range of clutch plates is made using high grade materials, which ensures strict quality and precision tolerance. 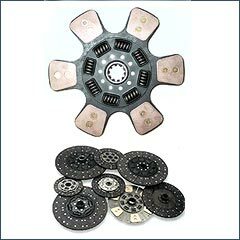 These clutch plates are available for different makes of commercial vehicles, cars and tractors. we have the expertise to manufacture both asbestos as well as non-asbestos clutch plates. Ensuring rapid acceleration, consistent performance and simple mechanical actuation, our range is available at industry leading prices. 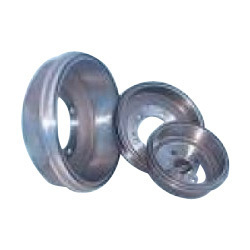 These clutch facings are made using high quality raw material and is offered at industry leading prices. Our range is widely reckoned for exhibiting stability, burst, strength and long performance. We have expertise to manufacture both asbestos and non-asbestos clutch facings, which can be availed from us at industry leading prices. These clutch buttons are capable of bearing high specific loads. These have sintered segments exhibit a stable coefficient of friction. 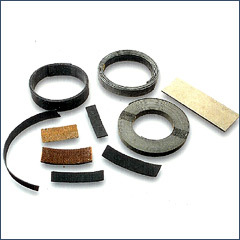 They have high performance sintered friction materials for dry running clutch applications. 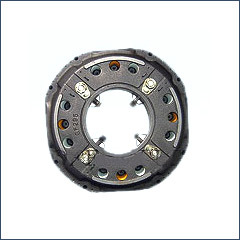 We offer a wide assortment of clutch repair kits. 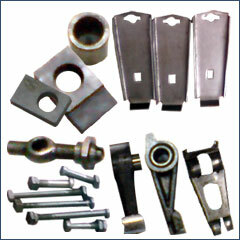 These are known for exhibiting high stability, burst, strength and ensures long service capacity. Our range of rivets is permanent fasteners, which is normally made from ductile steel or wrought iron. 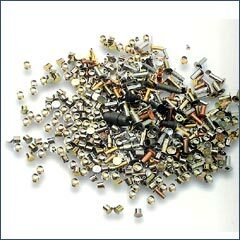 A large assortment of rivets can be availed from us in brass, aluminum and copper in sizes ranging from 3/8, 7/10, 4/4, 4/3, 5/6, 7/8. In addition to these standard sizes, we can also customize our range on the parameters of sizes as per the specific requirements of our clients. 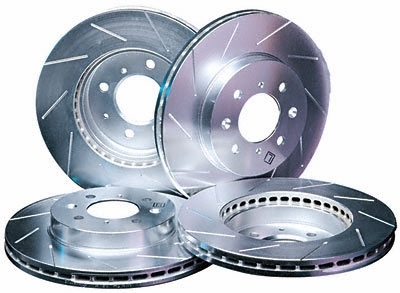 We offer a wide range of brake linings, which is of excellent quality. 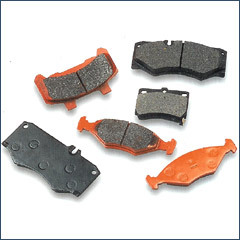 These are made of soft but tough heat resistant material with a high coefficient of dynamic friction. 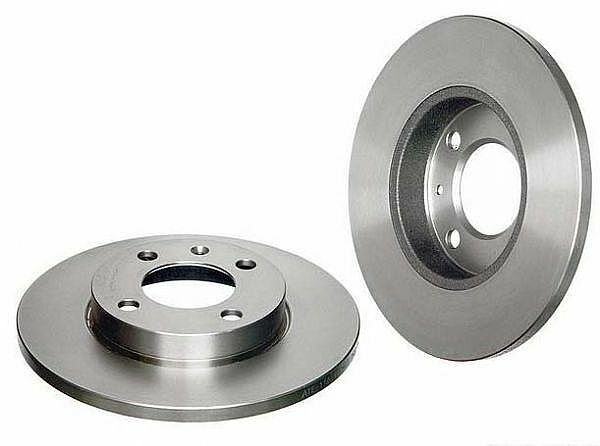 Under this category, we offer rubber brake linings, asbestos brake linings, automotive brake linings, which are made using a unique blend of ingredients such as asbestos, friction dust, resins etc. These products meet the latest expectations of motorists and exceed the functional performance. 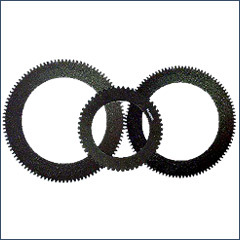 We offer a wide range of teeth linings, which finds wide application in various P.T.O, industrial machines and cranes. Ensuring high quality and dimensional accuracy, our range is available at industry leading prices. 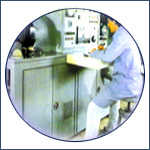 The Complete Range Of Brake Disc Rotters & Brake Drums Are Manufactured As Per O.E Specifications.